Working the Wilderness: Early Leaders for Wild Lands tells true stories about four men and one woman who established how to work in and be in the wilderness. They were guides for protection of wilderness and for the protectors who followed them. Their lives were immersed in service – to wild land and the American People. 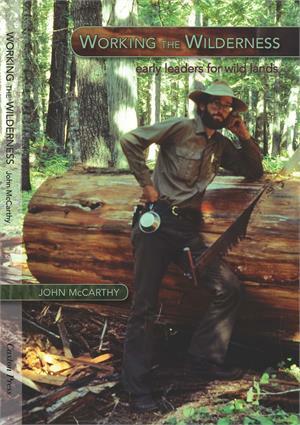 They worked for the U.S. Forest Service, centered in the vast Selway-Bitterroot Wilderness of Idaho and Montana. Three were active before and after the Wilderness Act of 1964. The younger two came in at the beginning of the modern wilderness era. They all adapted skills of the pioneers to the new land designation. Their stories celebrate heroes for the enduring resource of wilderness and point to the future to keep their legacies thriving.